Airport Limo 2 GO Serving Since 2003 in Vancouver Canada for all your luxury transportation needs. 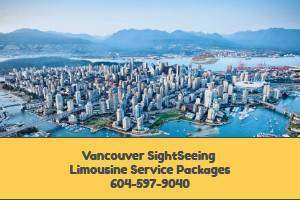 We provide Vancouver Airport Limousine Service, Luxury Sedan Car Service, SUV Limousines, and high quality professional ground transportation, Special $75 flat rate from Vancouver Downtown to YVR airport. 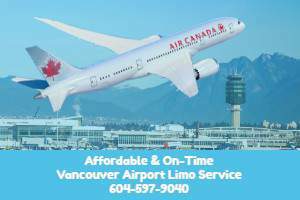 We offer services All over Metro Vancouver Area at affordable flat rates, reliable airport car service available 24/7 on time to and from Vancouver International Airport. We offer the most professional Limo Service Vancouver Airport in the finest fleet. Our airport limo or airport car service greet you at your home, hotel or office in a comfortable, ensure you arrive safely at your designated hassle free, relax or conduct business in Vancouver, Surrey, Langley, Richmond, Coquitlam, Maple Ridge, Abbotsford or White Rock without driving in heavy traffic and will make you feel at home. 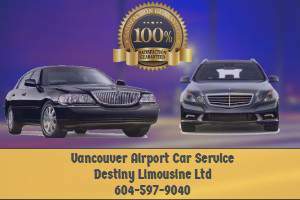 Destiny Limousine - Vancouver Airport Limo Service offer affordable airport shulle from last 15 years. We at town car service Vancouver airport, takes great pride in providing 100% customer satisfaction and exceptional customer service, offers professional, luxurious, and reliable transportation service in Vancouver. Committed to providing great value for money, it offers exceptional fleet, competitive prices, and remarkably professional chauffeurs. Committed to addressing individual needs and preferences, the company offers a wide range variety of vehicles featuring Lincoln Navigator Limousine, Lincoln Stretch Limo Cars, and Ford Expedition SUV Limo. These are well-maintained, fully insured, and driven by only the professional chauffeurs. Having served thousands of clients for the past 15 years, the company have gained solid experience in helping each client minimize travelling worries such as driving and parking at the airport, taking inter-terminal shuttles, and carrying luggage. 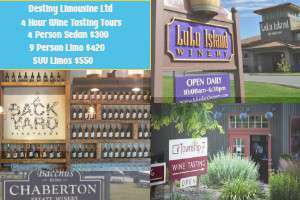 Aside from Vancouver airport limo service, Destiny Limousine Ltd also specializes in providing luxurious, safe, professional, and reliable transportation service for graduations, weddings, wine tours, city tours, and business travels.